At 10:05AM ET, on June 28th, NASA plans to test one of the two huge solid rocket boosters that will be used on the Space Launch System (SLS) in order to eventually take humans into deep space. 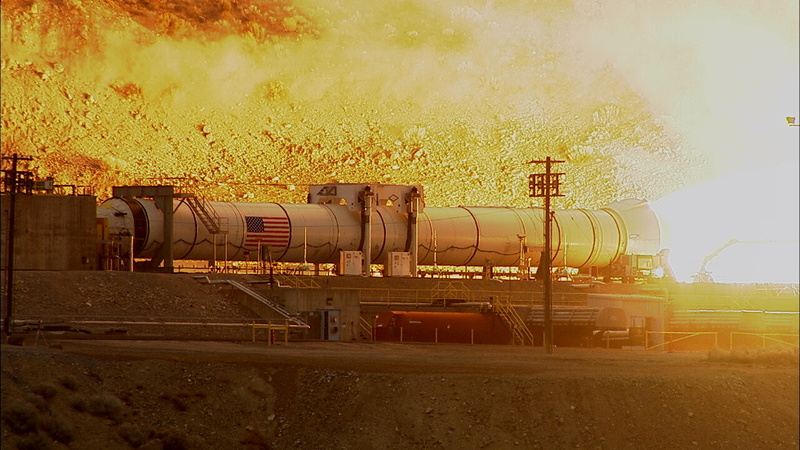 Taking place at Orbital ATK’s test facilities in Promontory, Utah, the test will involve firing up the engines on the booster for approximately two minutes. The booster itself will remain motionless during the test fire, but expect the flames to light up the Utah desert like in the featured image above. This ground test will mark the second such test of the Space Launch System booster, which is 17 stories tall and burns approximately 5.5 pounds of propellant per second. Incredibly, the booster also pumps out around 3.6 million pounds of maximum thrust. The idea behind the tests is to ensure the booster is capable of handling extreme temperatures, with the first test fire taking place at around 90 degrees Fahrenheit. This time, we’ll see how the booster performs in much colder temperatures, expected to be fired at approximately 40 degrees Fahrenheit.